Cal Fire has brought on an additional fire-fighting helicopter and stationed it in Sonoma in response to the red flag warning for fire danger across much of northern California, fire officials said. Roz Plater reports. Cal Fire has brought on an additional fire-fighting helicopter and stationed it in Sonoma in response to the red flag warning for fire danger across much of northern California, fire officials said. Cal Fire strategically placed a Blackhawk helicopter from PJ Helicopters at the Sonoma Air Attack Base, fire officials said. 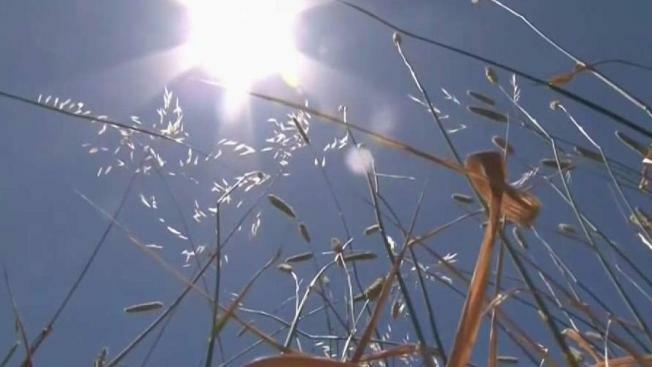 A red flag warning has been issued for parts of the North Bay this weekend for high fire danger due to gusty winds, hot weather and low humidity, according to a statement from the Sonoma County Sheriff's Office. "Increased staffing, engines, hand crews, bulldozers, in addition to normal fleet," said Mike Mohler from Cal Fire Sacramento. "We’ve brought on two additional helicopters and a fixed wing air tanker." The warning runs from 11 a.m. Saturday through 8 p.m. Sunday. Cal Fire also brought on an additional helicopter stationed at Chico Air Attack, and a tanker stationed at McClellan Air Tanker Base in response to the red flag warning, fire officials said. Area residents are advised to avoid lawn work, driving on grass, campfires or fireworks. Lit cigarettes should always be disposed of safely. Elevations over 1,000 feet in the affected area are at the greatest risk.